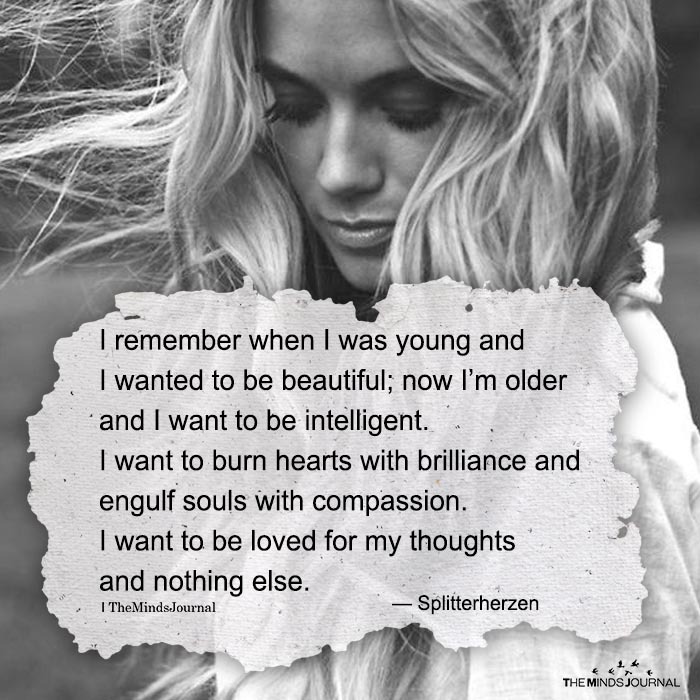 I remember when I was younger and I wanted to be beautiful; now I’m older and I want to be intelligent. I want to burn hearts with brilliance and engulf souls with compassion. I want to be loved for my thoughts and nothing else.